"Rock creek park is & has always been one of my favorite places in Washington, DC. It has a way of aging with you & adapting to where you are in life. When I was younger, it was a place for skipping rocks, bike rides & imaginary adventures in the woods. As a teen it was a place where I played basket ball, had cook outs with friends & walked through with dates. As an adult it's my short cut through the city, my quickest way from Silver Spring to George Town. One thing it still is and always well be is my retreat. Listening to the Black Byrd's "Rock Creek Park" inspired me to create an entire album around the park & my relationship with it. If the park were to have a soundtrack, what would it be? What does walking along the trails of the park sound like? What does driving on the narrow tree lined roads sound like? 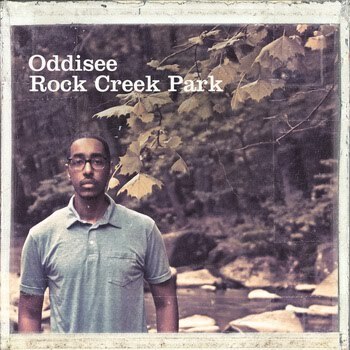 This album is my interpretation of Rock Creek Park through break beats, samples & live instrumentation." "Still Doing It" opens the record up with a traditional hip hop approach, but is immediately followed by some very smooth, calming tracks like "Skipping Rocks" and "The Carter Barron" which take on a 70's R&B vibe to them in their instrumentation and feel. As the album moves on there's a wonderful barrage of smooth bass, whirling keys and a mix of both live and programmed drums. "Uptown Cabaret" was a little too upbeat for me and seemed slightly out of place with it's disco-like cadence. Things get right back on track with "Beach Dr." and move nicely from there. Some of non-instrumental tracks feature hip hop styling by guests yU, Diamond District and Oliver Daysoul. The tracks are done well, with a more mellow style that fits the music pretty well. "For Certain" has moments of aggression peaking out, but just enough to not contrast the music too much. "Mattered Much" has a very soulful chorus that contrasts the verse pretty well. All in all, I enjoyed the instrumental tracks more, but definitely wouldn't skip on these tracks.